JAMB Rescheduled Date for Reprinting of Examination Slip for 2019 UTME, Rescheduled date for reprinting of JAMB 2019 Examination Slip or Photocard for JAMB Examination, How to reprint your JAMB Examination Slip from 4th April, 2019 – This article will give you update on when and how to do your Re-printing for the Joint Admission and matriculation Board (JAMB) Examination Slip. This article is about the latest update on The Joint Admission and Matriculation Board (JAMB) Reprinting of Examination Slip which has been postponed or rescheduled from April 2nd, 2019 to to Thursday, April 4th, 2019. Note: You don’t need to be in a hurry to print your exam slip. 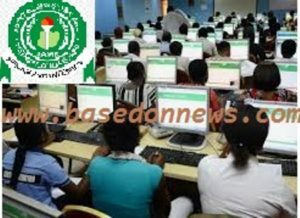 Basedonnews.com believes that JAMB will release a procedure to print the Exam Slip directly from their portal. We will update the guideline on how to do that in this post.